Here Lord Siva reveals and blesses as Swayambu Murthi. The tradition is that Iraavatham (the Elephant) with its ivory tusk worshipped the clouds in the sky , brought Ganges and performed pooja. 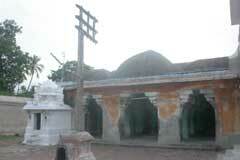 Arulmigu Iraavatheeswarar Tirukoil, Kottaaram P.O. via Netunkaatu – 609 603, Nannilam Taluk, Tiruvaarur District. 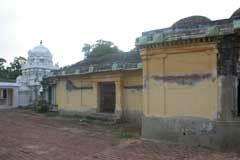 In the inscriptions of this temple this city is noted as " raasaraasap paanti naatu uththamaccózha valanaattu naanjil naatuk kóttaanaan mumuticcózha nalloor". 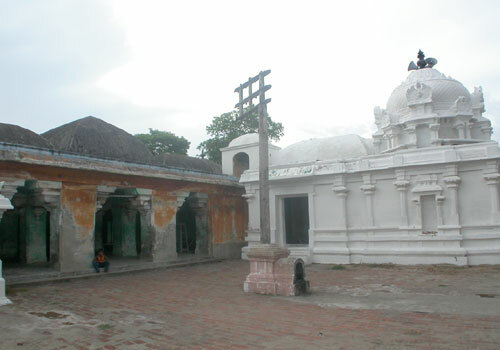 The King who built this temple was " cózha mantalaththu manni naatu muzhaiyur utaiyaan araiyan mathuraanthakanaan kulóththunka cózha kérala raasan". The name of the Deity is seen in the inscription as "iraacéntira chozheesvaramutaiya mahaathevar". 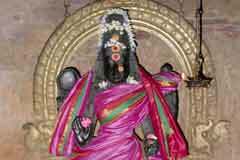 The devotees worship this deity to grant them the boon of good marriage, good issues and good education. After the fulfillment of their prayers, they conduct abishekam for the deity and dress Him with new clothes. Kótu – bank. This place is called ‘Kóttaaru’ as it is in the banks of Vaaňciyaaru. This is ‘Kóttaaru’ because Iraavatham, the white elephant worshipped the deity, after hitting the clouds and making the waters pour down like a river. 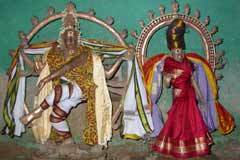 Here the renowned sages like Agathiyar, Subha Munivar, and Kumaarabhuvana thevar worshipped the Lord and received His benedictions. 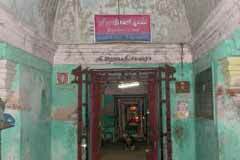 In the inside paved corridor are the sanctum of Baala Vinaayaka, Kailaasanaathar, Camaiyaachariaar, Subha Munivar with matted lock of hair, Lord Muruga, Dakshinaamurti, Arthanaareeswarar, Cantéswarar, Bhairavar, Sooriya-Chandrar, and Lord Nataraja. 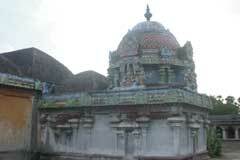 Adjacent to the front Mantapam is the sanctum of Kumaara Bhuvaneswarar. The big Lingam faces west. In the ardha Mantapam is the old beehive formed by the bees for very many years. We can hear the buzz of the bees in the main sanctum. The Thevaram of Jnanacampantar is seen inscribed in the stone. The Prime Deity is of small stature. The Goddess in the standing posture faces south. Iraavatham is the elephant-vehicle of Lord Indra at the heavens. It is with white skin and four tusks. 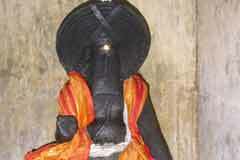 Once Sage Dhurvasa brought a lotus flower that adorned the Sivalingam consecrated by the Sage at Kasi. He presented that flower to Lord Indra who was coming in his ceremonial procession. The arrogant Indra received the flower with one hand without any reverence and placed it on the head of the elephant. The elephant removed the flower with its trunk, threw it on the floor and stamped the flower with its leg. The angry Dhurvasa cursed both Lord Indra and the elephant. Accordingly, Iraavatham became a wild elephant and for one hundred years went to several holy places, worshipped the deities and finally got its original form at Madurai. This is the legend narrated in the Tiruvilayaadal Puranam. Tirukkottaaru is one of the holy places worshipped by Iraavatham as a wild elephant. Subha Maharishi paid his obeisances to this Lord every day. One day the temple doors were closed because he was late. Seeing this Subha Maharishi took the form of a bee, went into the sanctum and worshipped the Lord. From then on he remained there. From that time onwards, the beehive remains in the sanctum of the Prime Deity. The devotees who go there to worship should stand away from the hive and offer their prayers. It is said that honey is extracted annually from this hive and is adorned the Lord with that honey. The hive once again thrives. The image of this Subha Maharishi is seen in the rear side of the outer round. Adjacent to the front Mantapam is the sanctum of Kumaara Bhuvaneswarar. The big Lingam faces west. 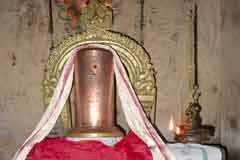 It is believed that both Sage Agathiyar and Subha Maharishi established this imposing Lingam and worshipped. Miracle Based: Here the Lord as Swayambu Murti blesses us. Must take the bus that goes via Kumbakonam Netunkaatu to Karakkal and get down at the Velankuti EB stop. 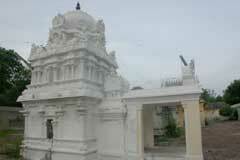 The temple is situated about 1 km. from there.